Back in November I was asked by BBC Countryfile Magazine to write a short article about the Ffestiniog Railway. I had an imminent deadline and thanks to Andrew Thomas the Railways’ Media Officer and the National Library of Wales the research was easy. But the experience was elusive, with the Ffestiniog Railway closed till Christmas. So, to become acquainted with the trains I took the off-season Welsh Highland Way service to Nantmor, and to get a feel for Ffestiniog Railway track I planned a walk using paths close to its route. The day of my walk was cold and clear. 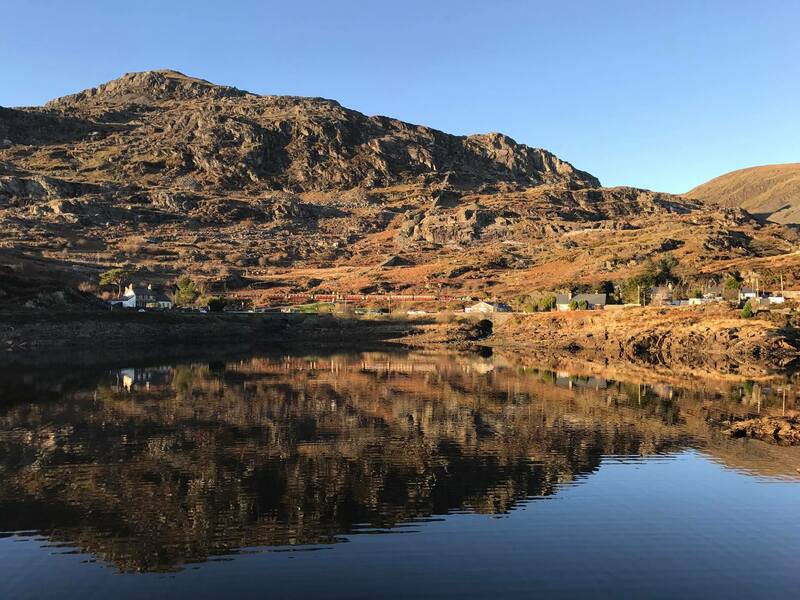 I took the bus to Blaenau Ffestiniog and was bewitched by its brittle beauty, thin air, and dark terraces hunkered beneath craggy mountains disembowelled for their slate. I took high paths into the old quarries where disused inclines still buttress the mountains and heather takes root in the slag. From here the views were spectacular. At Tanygrisiau, silvery light poured into Llyn Ystradau. Only a distant wind rippled the silence. Snow was brilliant against the blue sky, and black crags stood out from peanut-butter-coloured moors. It is easy on foot, to trace the remains of the old track which was partially flooded by reservoir. Now of course, it follows a new route, tunnelling through a small hill and up the Dduallt spiral. By then the change in altitude was already apparent in the rustle of dry sessile oak leaves and the blue sky framed by silver birch and golden grasses. By the time I reached the Maentwrog woods the air smelled of earth and warm oaks, their trunks mantled in bryophites, and was different again in the forestry of the Tan y Bwlch Estate where the larch-filtered light seemed dusty, and Llyn Mair gleamed darkly like an antique mirror. Occasionally I had furtive glimpses of the Afon Dwyryd meandering to the coast through russet hills. When the temperature dropped with the sun, cold air defined the trackside stone walls and lichen and I hurried along pastoral roads in a lilac dusk to Penrhyndeudraeth. By then the sun had burned a fiery trail into the sea, but the sky was still pink over the Cob. Egrets were dimly visible in the gloaming, stalking the saltmarsh, and a fluting call of an oystercatcher floated through the estuarine air. In no way did my walk resemble a real train journey, but I did get to appreciate at close quarters the stonework, the tunnels and gradient, and to understand something of the imagination, skill and industry which brought it into being. And I met the railway-scape without its trains; the bracken-coloured tracks, water-song in the hills, and a warm kiss of sun on my cheek. Now, on New Year’s Eve, I am on the train itself, with my husband and a cheery crowd of passengers. I look out to the rain-streaked lake and garlands of steam, imagining the quietness outside. And then I bite into a warm mince pie and raise a glass of sherry to the festive noise and spirit within. Happy New Year! 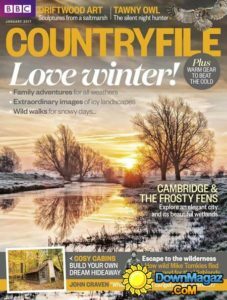 Julie Brominicks – the article for BBC Countryfile Magazine will appear in the February issue.